The US justice system isn’t going to take it easy on Gary Tashjian, owner of Darwin’s Natural Pet Food. Not only did pet food from his facility allegedly cause the illness or death of over 100 beloved pets in 2017, but it looks likely that he knew his products were tainted – but did little to prevent the outbreak that has left so many grieving. News like this compels us to reflect, reevaluate, and refine our processes. 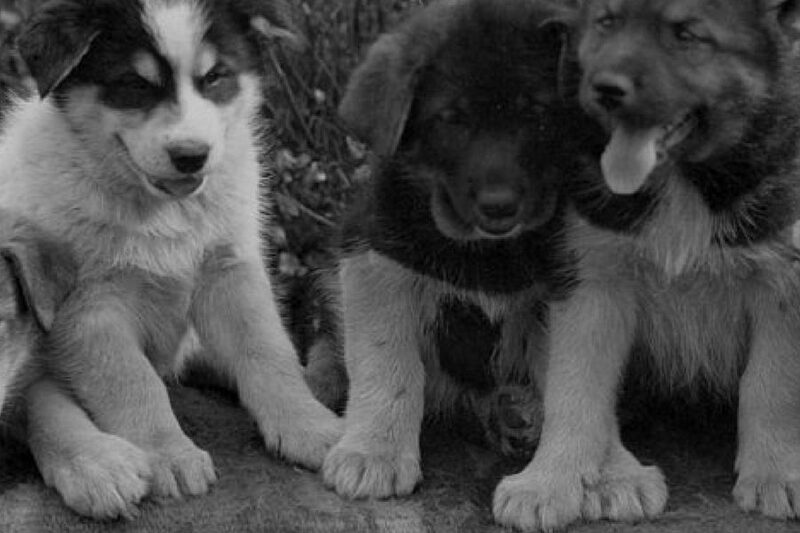 Even though the afflicted were pets and not humans, pet food manufacturers are required to be every bit as careful as manufactures of food for humans. In fact, regulatory agencies often regulate pet food more closely than human food, largely because there’s less ingredient diversity and the agencies can more easily hone in on hazards and procedures. Here are a few ways Darwin’s could have avoided this deadly mess (so that you can learn from their mistakes). But first, to drill the point of how severe this could be, let’s take a look at some of the possible consequences of this food safety failure. The FDA has limited resources and, thus, often relies upon a strategy of whipping entire industry segments into shape by making examples of serious offenders. Case in point: Stewart Parnell and his peanut company, the Peanut Corporation of America. In 2015, Parnell became the first food company executive to be convicted of felony charges related to food poisoning. His sentencing was groundbreaking and severe: 28 years in federal prison. Parnell’s brother, a food broker, received 20 years, and the plant’s quality assurance manager was given five years. Their sentence followed the serious consequences of their failures; the Parnells caused the deaths of nine children and sickened over 700 via food poisoning in 2009, initiating one of the largest recalls in the history of the United States. Investigators found over 1,000 documents detailing how the Parnells covered up their discovery of Salmonella and ordered that the products be shipped out anyway. The case of Gary Tashjian and Darwin’s Natural Pet Food is eerily similar to that of Stewart Parnell’s. Tashjian allegedly knew that Salmonella and E. coli were contaminating the facility but shipped them out anyway, then allegedly lied to FDA inspectors when asked about reports of illnesses in pets. All things considered, criminal charges against Tashjian are likely on the horizon in order to make an example out of this failure. 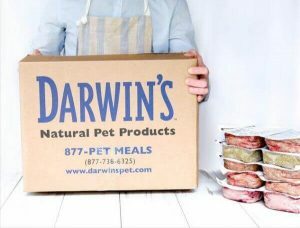 It’s nearly certain that Darwin’s will shut its doors or be sold off at pennies on the dollar, and it’s possible that pet food buying habits will shift for a while as customers lose trust in the industry. In the wake of the 2009 peanut butter outbreak, the consequences were steep for everyone. Although Skippy was not involved in the outbreak, Skippy peanut butter sales fell 54%. Peanut butter sales plummeted 24% and total industry losses were $1 billion. Reports on Darwin’s Natural Pet Food facility and procedures shed light on how severe the food safety oversights were, although we wouldn’t consider them all to be unusual. The first error we want to highlight was the state of the facility itself. In addition to 332 complaints of illness, death, and foreign objects, investigators found that the food manufacturing plant was in very poor condition. Forget HACCP and other standards of the industry; common-sense maintenance was not implemented, which gives the impression that the health of the facility was not a priority to management. In fact, the draft report from the Washington State Department of Agriculture revealed that they did not have any written sanitation plan at the time of the inspection. Do this instead: Create a system that encourages employee reporting on facility wear and tear, clearly defines action steps for how to proceed when maintenance work is needed, and requires verification when issues are resolved. Along with the falling apart facility, investigators also reported a variety of blunders that revealed the company’s basic food safety systems were not effective – nor were they being considered. And, maybe worst of all, Darwin’s Natural Pet Food logs reportedly showed that Salmonella and E. coli had been discovered during a test, and yet no corrective actions or subsequent tests were carried out after the initial cleaning. Systems are designed to streamline processes, establish standards, and ensure that contamination doesn’t occur. However, when nobody enforces compliance, people (or, in this case, pets) end up paying for it. Do this instead: Clearly identify and control hazards, establish detailed procedures and a schedule for frequent testing, document corrective actions step-by-step, and detail and enforce consequences for employees that fail to abide by these procedures. In the end, the crux of the issue is clear: apathy towards food safety came from the top. It seems obvious that Gary Tashjian and his management team failed to prioritize proper food safety standards. They allowed the facility to fall into disarray, failed to train employees, and they didn’t effectively correct issues when they arose – which is painfully evident from the five recalls that were issued by the company in the last eighteen months. When the higher levels of a company don’t establish food safety as a value that’s central to the company, issues down the road become inevitable. Employees learn to not be so strict with procedures, tasks end up incomplete, and the entire organization suffers. Do this instead: Instill food safety as a core value from the moment new hires walk into your door, lead by example, and give your food safety coordinator the authority and budget to maintain and enforce detailed, effective food safety protocols with the resources and technology they need to do their job to the highest standards, which protects your brand and preserves stakeholder value. The level of apparent criminal negligence in this case is, of course, not typical for the industry. The majority of food companies do their best to produce safe products and it’s not easy. That’s why we created Icicle, a comprehensive food safety and production management platform that simplifies the creation of food safety plans, helps you track safety systems and procedures, and automates a variety of tasks that are inefficient when done manually. Request a demo of Icicle today and sign up for our mailing list to get feature updates, industry analysis, and more.